We are a multigenerational, warm, smaller, child friendly congregation seeking to keep faith connected to every day life. Members are community centered, and theologically diverse. 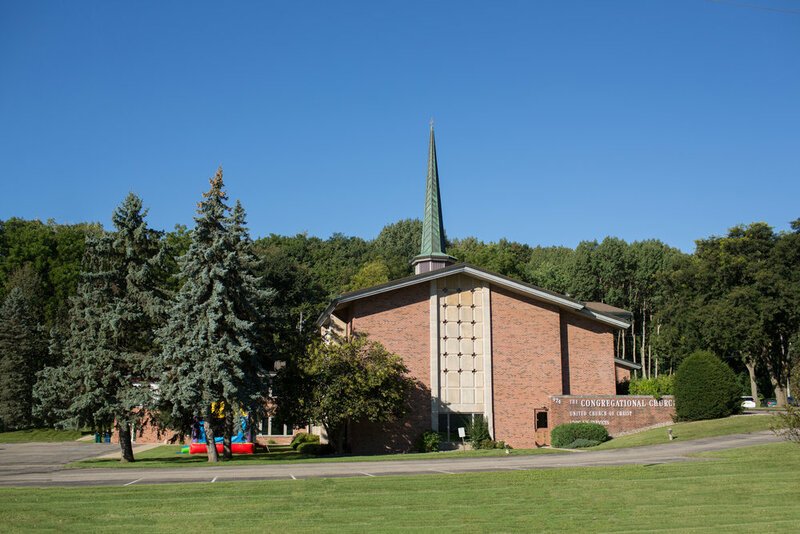 As one of the earliest churches in Rochester, our church is proud of the past and excited for the future. During our long history we have experienced both growth and loss; controversy and excitement. Through it all, our focus continues to be on integrating faith into the community and everyday life. Southeastern portion of the Minnesota Territory experiences influx of settlers, primarily from the north central tier of states and New England. They have deep roots in the Congregationalism of the East with a reverence for independence and democratic principles and a generous spirit of fellowship. Ground for the new building is broken September 1963. The first service at the present location (974 Skyline Dr. SW) is held September 6th 1964. Rev. Dr. Wesley C. Ewert is the minister at the time. Church installs a faceted glass window on the north wall of the sanctuary (choir loft) with colors complementing the windows at the front of the sanctuary.